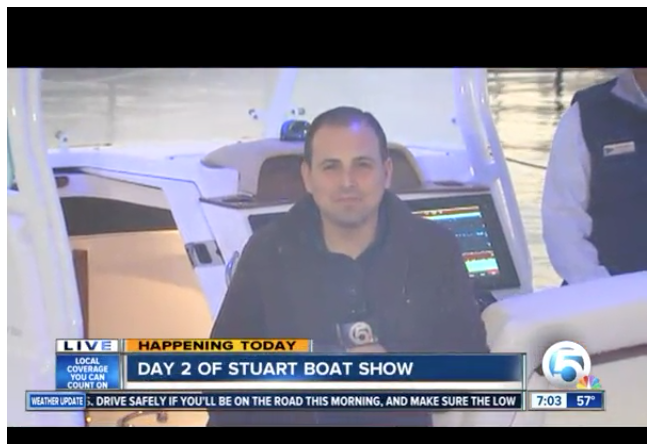 STUART, Fla. – Clear skies and sunshine—it’s what organizers of the Stuart Boat Show had hoped for. The start of the festival (Friday) was met by severe thunderstorms and heavy gusts. Saturday was quite different. Crews arrived early to wipe down the boats and to prepare the grounds for the thousands expected over the weekend. The show is the largest on the Treasure Coast, featuring over $100 million in boats.